These are fantastic mouthpieces; they have all the subtly at low volume without compromising on power and clarity of sound at higher volumes. Its a really great idea. The sound of James Arben is a little dark and quite powerful. The mouthpiece we created for James gives him the possibility to deploy easily this timbre in all the registers of the tenor. 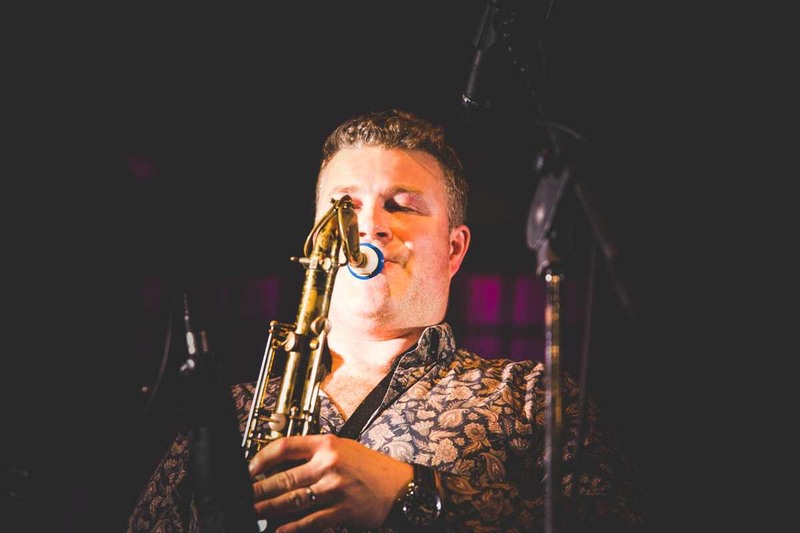 James is a professional saxophonist and woodwind player doubling on flute, oboe, vocals, piano, clarinet and bass clarinet. 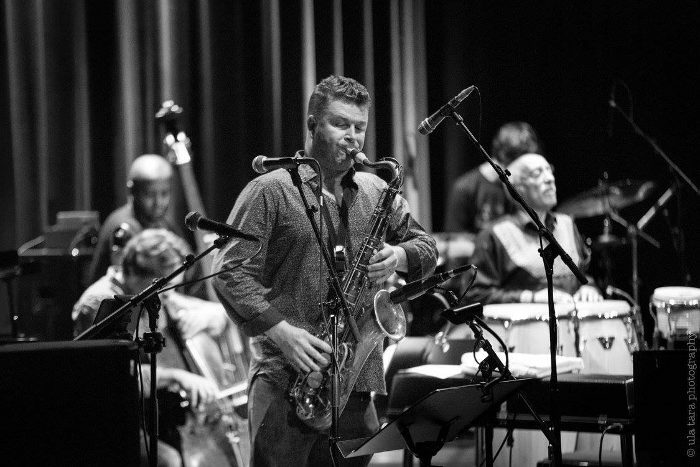 James plays saxophone and bass clarinet and writing with with the well-regarded experimental collective “The Heliocentrics". In 2010 he was asked to become Musical Director to the world famous musician and composer Mulatu Astatke. Mulatu is credited as the creator and “father” of the genre “Ethio-Jazz” and this post has taken him all over the world and given James the opportunity to perform with world-class musicians at huge festivals and concert halls. He is responsible for all the arrangements and music in Mulatu’s band; also the rehearsing of the musicians around the world. James has also performed at various festivals in the UK, most notably Glastonbury, in Europe (Montreux Jazz Festival), Australia (Melbourne International Jazz Festival), Japan (Fuji Rock), and Canada (Montreal Jazz Festival). He has also played in Russia, South Africa Brazil and America and Japan. The O’ Jays, Mary Wilson, Criolo, Talib Kweli, Snowboy, Tony Visconti, Jim Stapley, Robin Jones, Steve Waterman, NYJO, David Axelrod, The Kooks, Digby Fair-weather Tim Garland, Gene Calderazzo, Jean Toussain Rufus Reid, Byron Wallen, Molotov Jukebox, Hackney Colliery Band, Down to the Bone, Alexander Hawkins, The Glen Miller Orchestra, The London Concert Choir, The London Vocal Project, DJ Gaslamp Killer, Finn Peters, Alexander Hawkins Large Ensemble, Sarah Soul, Miss Hoodoo and the Delta Boys, The Black Jesus Experience, Joe Stilgoe, St Etienne, Alex Kapranos, Sam Amidon, Jason Lindner and Marcus Gilmore, The Heliocentrics, Family Atlantica, London Concert Choir, London Vocal Project, Molotov JukeBox, Jim Stapley, Robin Jones Latin Underground Orchestra, King Salsa, Steve Waterman, Maxi Priest, Steve Brookstein, Big Band Metheny, David Okumu, Seb Rochford ,Tom Herbert, Steve Nieve, Camille O’Sullivan, Jolie Holland, Terry Edwards, Roy Hemmings, The Spike Orchestra, Robert Plant, John Paul Jones, Alex Kapranos. It's an amazing mouthpiece. It has the darkness of tone, and response that I have spent years looking for without the compromise of powerful and cutting sound.